With a distinct fresh, spicy-medicinal aroma, tea tree stands as possibly the most intensely researched essential oil in the world today, and its vast range of therapeutic properties have certainly been put to good use over recent years. 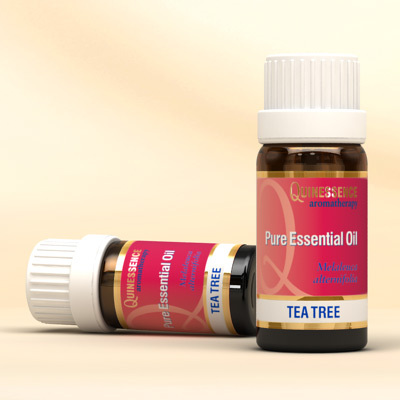 Tea Tree Essential Oil has found its way into natural health products of every description, as well as a vast range of skin and hair care products. Research has proven that Tea Tree Essential Oil is equally as effective as benzoyl peroxide in the treatment of acne without causing any of the side effects usually found with this chemical, and its antifungal properties have been shown to be highly effective on ringworm and athletes foot. At the first signs of a cold, a few drops of Tea Tree Essential Oil added to a hot bath or gargle can help keep infection at bay or soothe a sore throat, and when used in douches or baths it is absolutely invaluable in the treatment of candida and thrush.